Events at Clark's Elioak FarmLots to do on special weekends throughout the year. Reacquaint yourself and your children with your favorite animals at our farm. Take a pony ride on Captain Jack. Ready to take a hayride with Trusty the Tractor? Martha Clark will be available to sign copies of her children's books "Trusty the Tractor" and "Trusty the Tractor's Day Off." All Aboard the Enchanted Express Train, too! It's so much fun to be back at the farm again! 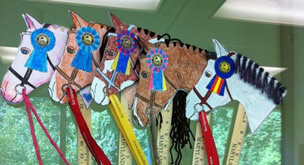 To celebrate everything equine in Maryland, we will have fun making stick horses on Saturday and Sunday. We will provide all the materials, you just bring the creativity. Each child will make a stick horse to take home. Children of different ages (ages 1 to 3 and 4 to 6) will have a chance to hunt for eggs all day (10 AM, 10:30, 11 AM, 11:30, 12 noon, 12:30, 1 PM, 1:30, 2 PM, 2:30, 3 PM, 3:30, 4 PM, 4:30 and 5 PM) on both Saturday and Sunday. Our $7 per person admission fee for the farm applies, but there is no extra charge for the egg hunt. The petting farm, rides and play areas are open for you to enjoy.When you are ready to participate in the egg hunt, come to the Egg Hunt area and your child will line up with other children and pick up eggs. The eggs will then be turned in for a goodie bag. The first egg hunt each time will be for the 1-3 year olds. Once they are finished and while they are turning in their eggs for the goodie bags, the 4-6 year olds start their egg hunt. It all happens very quickly. We make sure each child gets at least a few eggs and since they turn them in for goodie bags, it doesn't matter how many they get. It's our goal that they have fun, so we do everything we can to make sure the children have the chance to find eggs. 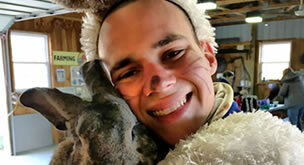 The petting farm, gem mining and rides will also be open on EASTER MONDAY. To celebrate Spring, we will have fun coloring and craft activities for the kids. 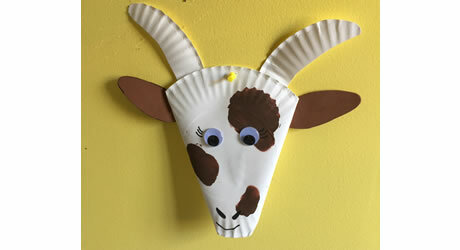 Join in the fun and see what great pictures and crafts you can create to take home. MAY 4-5, 2019: TEDDY BEAR FARM VISIT! Bring your bears! Free hayrides for all children who bring a teddy bear. 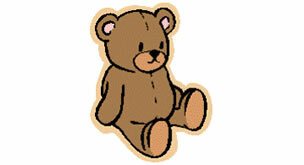 Teddy bear contest at 1 PM and 3 PM Sat and Sun. Folk singing with Tony McGuffin from Noon to 4 PM both days. 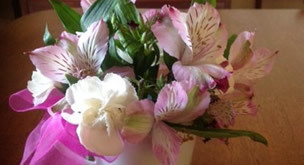 MAY 11-12, 2019 MOTHER’S DAY WEEKEND! Free hayrides for all mothers and grandmothers accompanied by a child. Happy Mother's Day to all our wonderful mothers!!! Come enjoy our wonderful baby animals and their moms!! Your mom and grandmothers will love seeing the Enchanted Forest attractions they remember visiting before they became MOMS!.